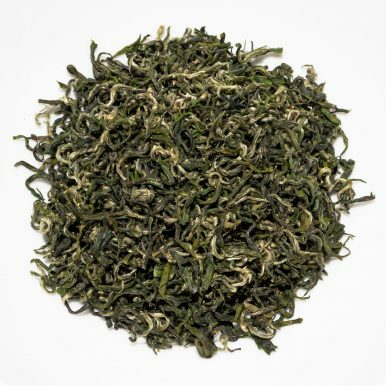 Wu Yi Shan Bi Luo Chun is a complex green tea from the famous Wu Yi Mountain area of Fujian Province in China. 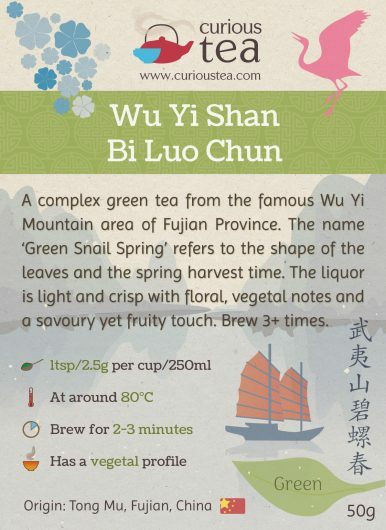 The name translates as ‘Green Snail Spring’ and refers to the shape of the leaves and the spring (March 2017) harvest time. The liquor is light and crisp with floral, vegetal notes and a savoury yet fruity touch. 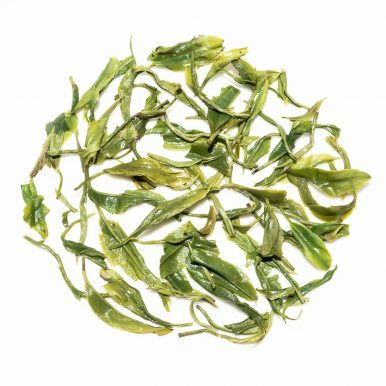 Wu Yi Shan Bi Luo Chun is a complex green tea from the famous Wu Yi Shan (武夷山) area of Fujian Province. We sourced this tea direct from the growers, the Chen family. 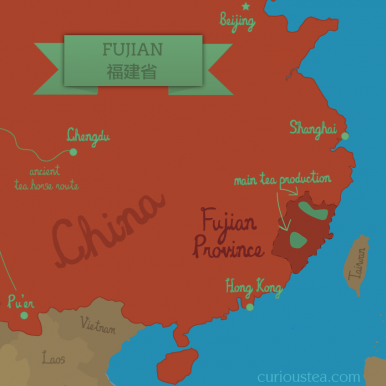 Normally focusing on making black and oolong teas that this part of Fujian is famous for, the Chen family make just one green tea in the Bi Luo Chun style using a local Wu Yi Cai Cha (菜茶) cultivar. This tea is grown at Tong Mu Village in Wu Yi Shan at an altitude of approximately 800 metres. Hand plucked on 28 March 2017 and completely hand processed, grown to organic standard, it is of supreme quality and is super fresh! Wu Yi Shan, Wu Yi Rock or Wu Yi Mountain is an area that is known for producing famous Chinese teas, such as Da Hong Pao, Rou Gui and Lapsang Souchong. 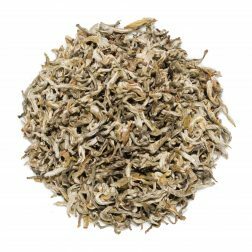 Wu Yi Rock teas are grown on rocky mountainsides where the soil is high in mineral content and the growth of the tea trees is much slower. This terroir results in a distinctive ‘rock’ taste that is particularly evident in oolongs from this area and is prized amongst tea lovers. 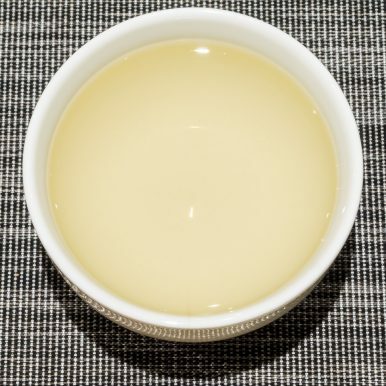 This characteristic profile is stony and mineral in taste but with a long lasting sweet aftertaste. 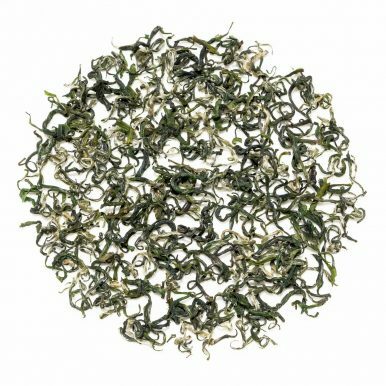 It translates to green tea as well, resulting in a slightly mineral and savoury kind of flavour but with a sweet uplifting note at the end. 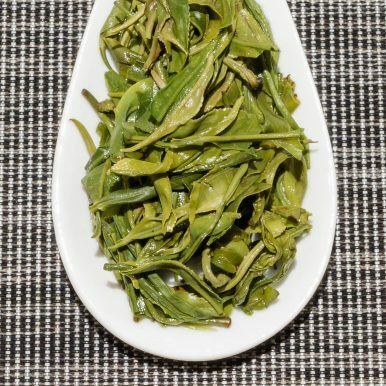 The aromatic dry wiry leaves of this Wu Yi Shan Bi Luo Chun green tea only consist of young tender leaves. When brewed the liquor is light in colour and has a slight vegetal and peachy aroma. The taste is balanced, crisp and fresh. 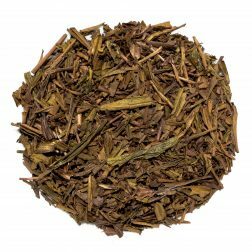 This tea is bright in character with a full floral and vegetal flavour. There is a pleasant nutty and savoury yet fruity finish with a faintly smoky top note. 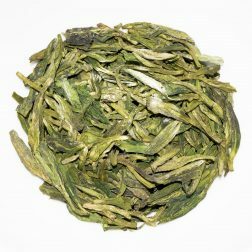 This Wu Yi Shan Bi Luo Chun green tea was first featured in our May 2017 Curious Tea Subscription Boxes.